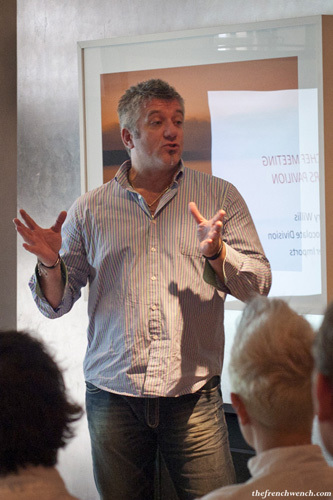 Fabien created the club early this year and received an enthusiastic response from his colleagues. 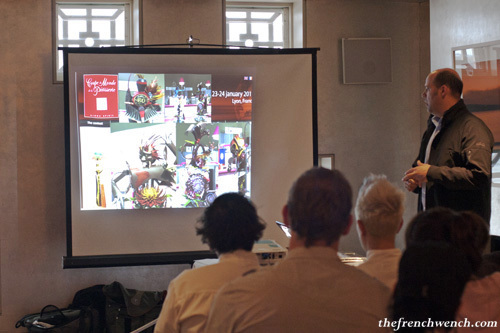 The first meeting took place in February with an Native Australian theme and the second one in March around an Orchard theme (you can check out pictures of their creations here and here). I first heard of Pastry Clubs in a French documentary called La Revanche des Pâtissiers: “The revenge of the Pastry Chefs”, who had for a long time been eclipsed by their Chefs de cuisine counterparts, until 5-6 years ago, when the attention of the public and the media started to shift towards them: at last they were getting a bit of the limelight! 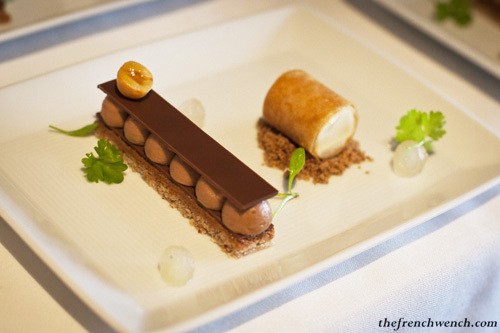 Christophe Michalak, largely featured in the film, is a famous Pastry Chef who creates beautiful and enchanting desserts at the Plaza Athénée (a luxurious Parisian hotel, also host to French gastronomy monument Alain Ducasse). 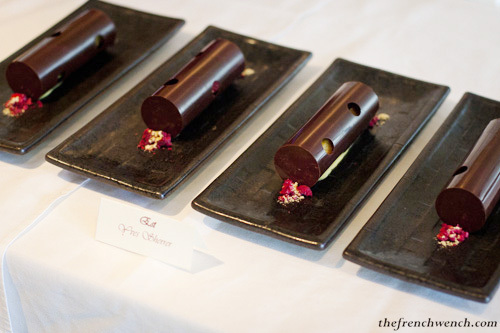 Together with some passionate fellow pastry chefs, Christophe Michalak decided to start a club so they could meet every couple of months in an informal way, discuss their passion and show their creations on a theme given in advance, which became: “Le Club des Sucrés“, or simply “Les Sucrés”. 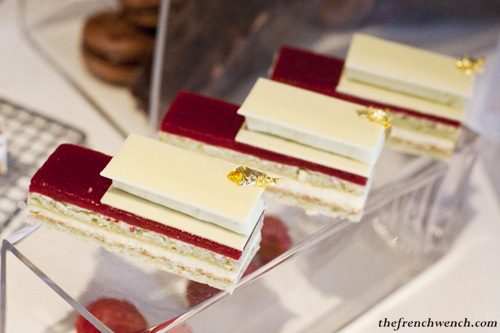 There are pastry clubs being created all over the world now, for professional and amateurs pâtissiers. One example of the latter, that has encountered a huge success the last few years is the Daring Bakers Challenge, a web-based club counting more than 1000 members worldwide, mostly food bloggers, who every month are given a particular theme or pastry to reproduce at home and then blog about it to share their successes… or lesser successes! 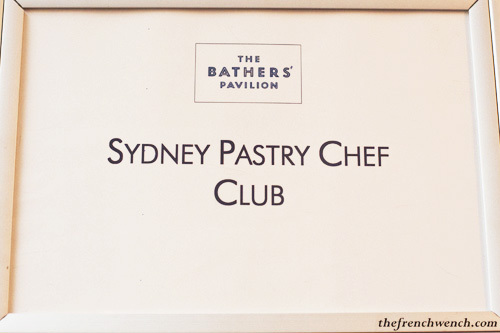 The chocolate-themed 3rd edition of Sydney Pastry Club took place at the Bathers Pavilion, where Anna Polyviou, the resident Head Pastry Pastry Chef, and her team played host. Serge Dansereau, Bathers Pavilion’s Executive Chef for 13 years, also made a brief appearance to welcome the chefs, before having to return to work. Fabien Berteau (creator of the Club), Anna Polyviou and John Ralley. 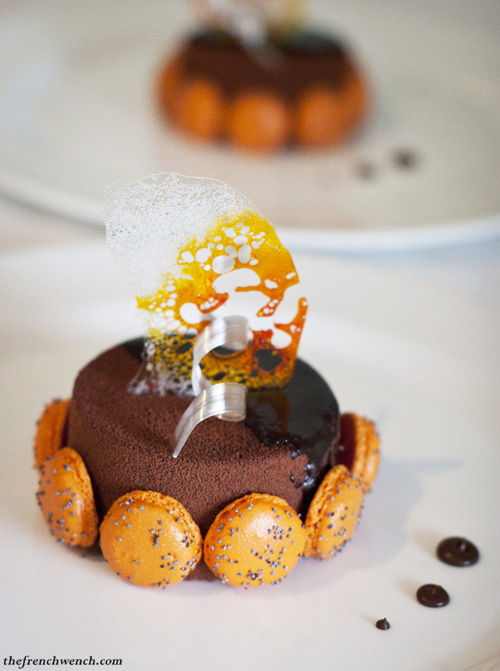 The beautiful dessert pictured above is the creation of John Ralley, pastry chef at Manta Restaurant (Woolloomooloo): a Milk chocolate and Orange Petit Gâteau, made out of Orange brûlée, Marnier jelly and Hazelnut dacquoise. 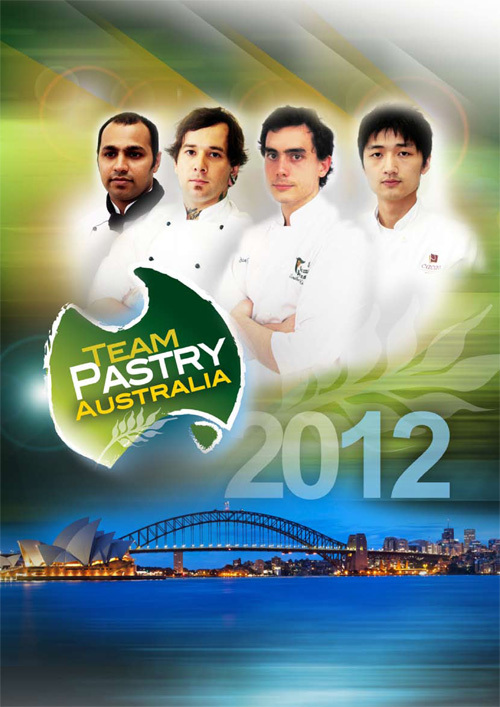 John is also one of the four members of the Australian Pastry Team, currently preparing to compete at the Asian Pastry Cup in Singapore in April 2012. 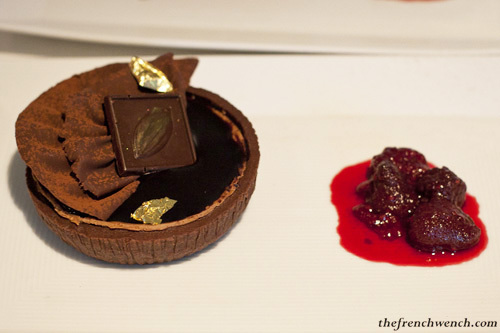 A place amongst the first four best teams would see them qualify to participate in the prestigious 2013 World Pastry Cup in Lyon. Dean Gibson, a pastry teacher at Hunter TAFE Newcastle and current Captain for Team Pastry Australia was also there to present the team. 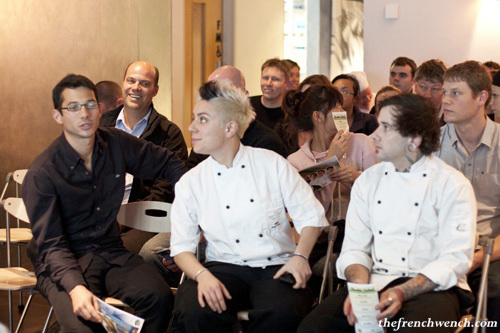 Dean was himself a competitor for Australia at the 2010 Asian Pastry Cup alongside pastry star Adriano Zumbo! Despite the lack of time for preparing for the cup, the team made it to the fifth place, one spot away from being qualified for France! This set back didn’t discourage Dean and team coach Jian Yao, quite the opposite! 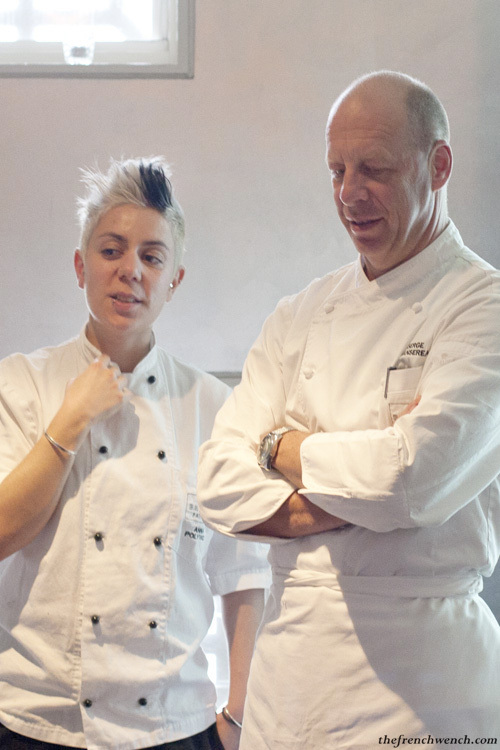 This year Dean is the team captain, and with Jian they have put together a team of four young and hungry pastry chefs, who are currently training to become a winning machine in Singapore! 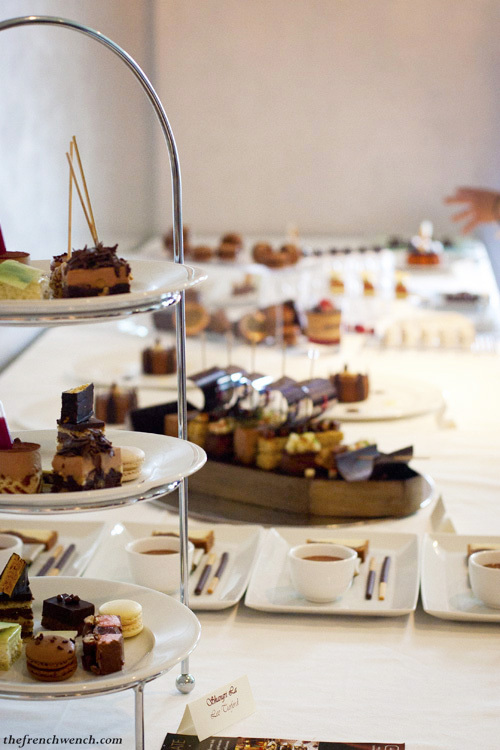 Anna and her team had prepared quite a spread for the occasion, including desserts from the restaurant, the café and the high-tea menus. 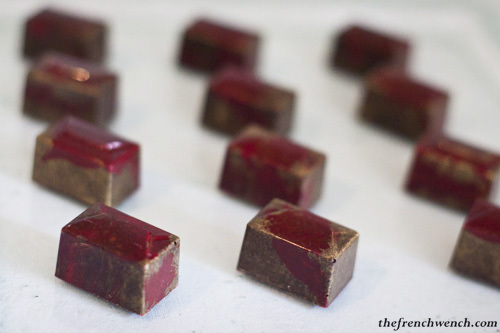 Gary Willis, who represents Callebaut in Australia, was just back from a week in Brazil for a chocolate convention, which saw him meet many international pastry chefs and visit cocoa farms and cocoa factories. He told us about this incredible experience. 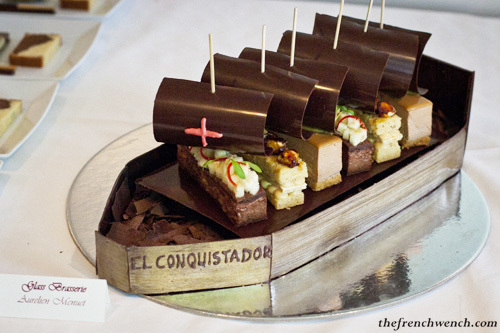 Aurélien Menuet from Glass Brasserie, Hilton, was inspired by the history of chocolate and built a Consquistadors’ boat out of chocolate to represent the discovery of cocoa by the colons in South America. Fabien decided to give his own twist to the traditional “After Eight” snack by offering an “After Four”, which evokes the “goûter” French kids used to have after school: it usually comprised a nice bowl of chocolatey milk with chocolate biscuits (like BN or Prince de Lu). Fabien is currently “sans” kitchen, as Park Hyatt is currently undergoing major work and will only re-open at the end of the year. 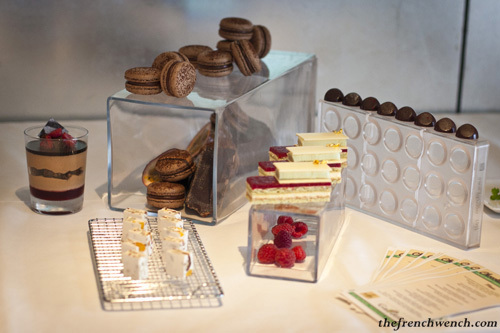 There were too many desserts and I soon couldn’t keep up on the specificities of each dessert: pastry chefs, if you read this, feel free to comment and give additional info! 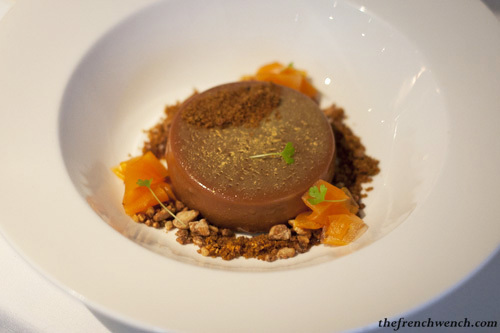 Anna Polyviou – Bathers Pavilion (Praline and apricot delice with carrot and apricot sorbet circled with caramelised walnut crumble). After each chef went through their creation, it was finally time for tasting! It was pretty busy at the buffet and I didn’t get to taste them all, but enough to say that these chefs are all very talented! 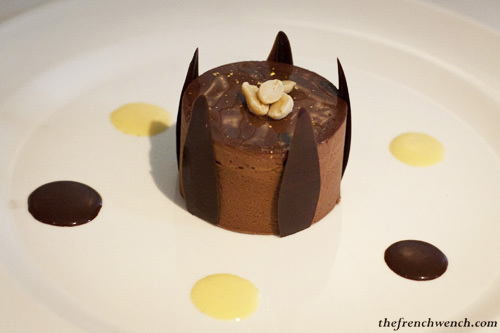 Pastry really is art on a plate to me, and I really admire their creativity and craftsmanship, having only recently made my first chocolate mousse! Congratulations to the Sydney Pastry Chefs Club and vive la pâtisserie! 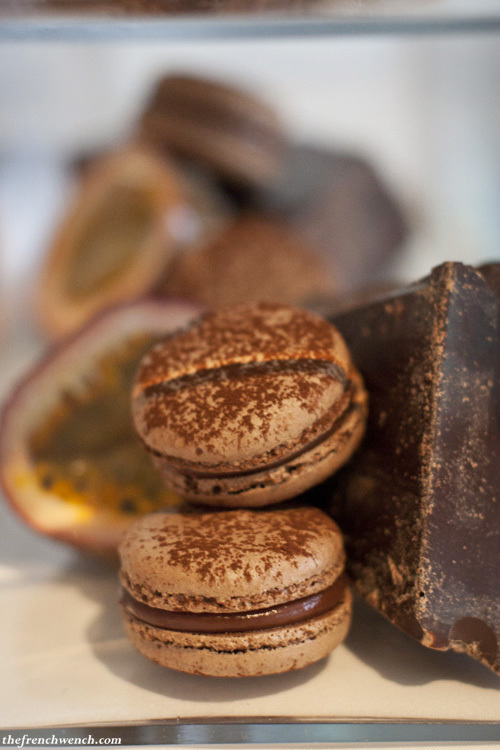 This entry was posted in Events, French Specialties and tagged Bathers Pavilion, Christophe Michalak, Dean Gibson, pastry, Pastry Team Australia, patisserie, Sydney Pastry Club. Bookmark the permalink. Very interesting ! 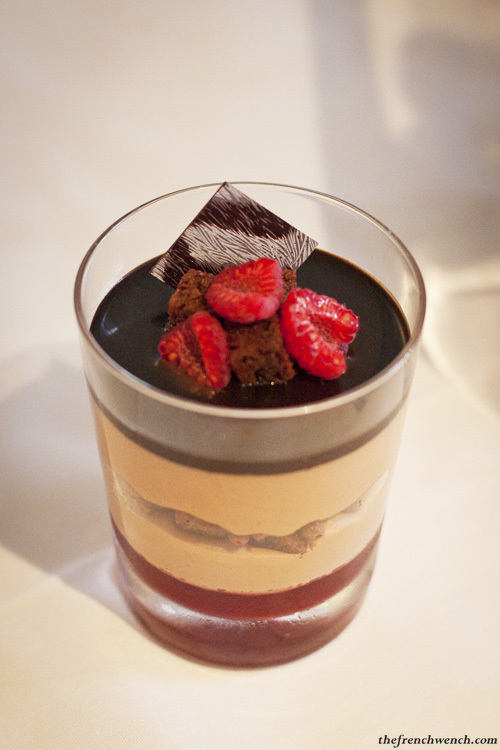 Beautiful gateaux and desserts ! Hope you didn’t have a crise de foie after all the testing ! Belles photos ! 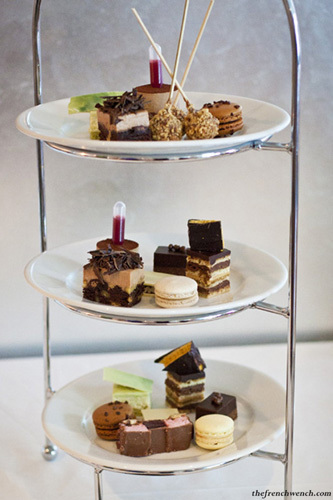 Wow what an amazing event – the desserts look incredible! Je suis en train de baver sur mon t-shirt, merci Sandra! I am just wondering how my pastry chef can join?